When BHS was placed into administration in March 2016, the brand was subject to extensive media coverage. Although relaunching online shortly afterwards (by its new owner, the Qatar based Al Mana Group), brand searches had since slumped from lack of public knowledge that the store was active (brand search was down 90%). BHS needed a solid strategy that would lift searches for the company and products to increase rankings and revenue. With brand searches tailing off, the team focussed its attention on product and category searches, or “non-brand” traffic. Lighting was identified as a category that had previously driven high levels of revenue and had a good price point in the market. The team started by optimising the back end of the website to have more SEO flexibility and scalability. Whilst working on the technical side of the website, the team also optimised copy for pages that had a high business value. We added key product landing pages, allowing us to target more longtail queries where user intent and conversion rate are often higher. As a result of these additions, rankings improved for longtail key phrases, as well as major generics like “lighting”, “ceiling lights” and many others. This non-brand specific strategy was executed alongside fundamental ecommerce optimisations on the website which, allowed Google to realise more pages, lifting the brand up onto page one where the brand hadn’t ranked before. “We appointed the team to improve our site’s rankings and revenue across a number of highly competitive keywords, as well as build sustainable and scalable foundations for growth – our objective certainly did not fall on deaf ears. 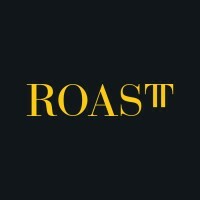 The ROAST team provide an impeccable level of service, we saw great performance across the board, outranking many of our competitors on highly relevant keywords.